Dubrovnik is not only a world-famous tourist attraction but also a congress city, so finding the right accommodation can be a challenge, all year round. 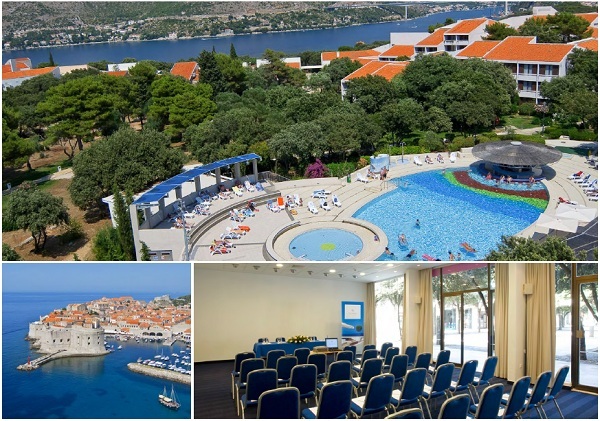 The conference will be held at Valamar Lacroma Dubrovnik Hotel which offers special prices for participants, including special offers for the nearby Tirena Sunny Hotel by Valamar and luxurious Valamar Dubrovnik President Hotel. On-line hotel reservation requires credit card information in order to guarantee payment. For participants who are not able to guarantee their reservation with credit card details, a payment of full amount is required. For such reservations, please contact hotel reservation department directly at Milivoj.Tomic@valamar.com and you will receive pro forma invoice for hotel services. Please contact Mr. Tomic for all other questions related to booking and the hotels. On-line reservation can be cancelled without any charge up to 21 days prior to arrival date. Otherwise, hotel reserves right to charge participant’s credit card for total envisaged period of stay. In case of No-Show, the hotel reserves right to charge participant’s given credit card for total envisaged period of stay. Valamar Lacroma Dubrovnik Hotel, the proud recipient of the prestigious 2015, 2016 and 2017 World Travel Award as "Croatia's Leading Hotel" and the 2015, 2016, 2017 and 2018 World Travel Award as "Croatia's Leading Business Hotel", is located on the tranquil Babin kuk peninsula, surrounded by pine tree forests and soothing white pebble beaches. Renowned for its fusion of nature and state of the art facilities, the hotel offers ultra-modern rooms and suites, the largest MICE facilities in the area, memorable gastronomic experiences in its gourmet restaurant, a wine bar terrace with panoramic views of the Elaphiti Islands and an abundance of activities to let you create a perfectly balanced holiday in Croatia. 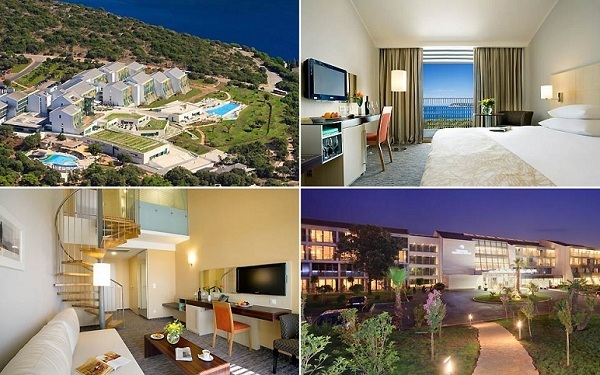 Located in the quiet natural surroundings of the Babin kuk peninsula, the Tirena Sunny Hotel by Valamar is ideal for a relaxing holiday close to the vibrant historic centre of Dubrovnik. 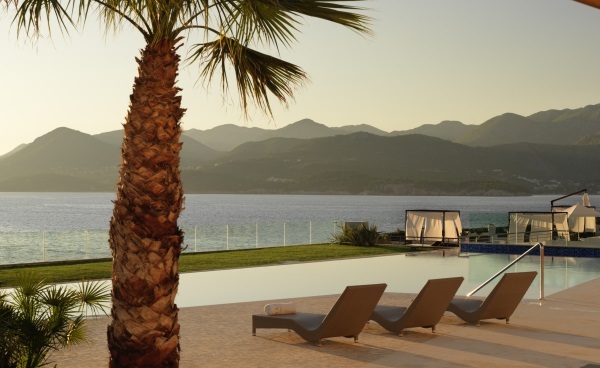 Enjoy sunbathing next to the spacious outdoor pool or on the nearby Dubrovnik beaches. Taste traditional Dalmatian dishes and watch your meal being prepared right in front of you in the hotel's buffet restaurant. Explore the historic centre of Dubrovnik and then take a boat to the idyllic islands in South Dalmatia. For an even more fulfilling holiday, there are excellent entertainment programmes, a variety of sporting activities, and luxurious wellness centres that you can use in the nearby Valamar hotels. The Valamar Collection Dubrovnik President 5* is the winner of the prestigious 'World Luxury Hotel Award' as a Luxury Beach Resort in Croatia in 2016, 2017 and 2018. 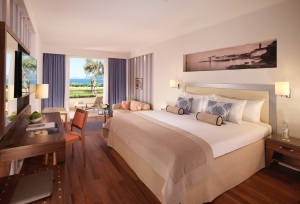 This exquisite 5* hotel has undergone an extensive facelift to provide you with the ultimate Dubrovnik experience. Unique beachfront location on the tip of the green Babin kuk peninsula, only few minutes from the enchanting Old Town of Dubrovnik, provides its guests not only with spectacular views, but also with an unparalleled feeling of unity with nature and the crystal blue sea from every corner of the hotel. With luxurious rooms, elegant pools, a hotel beach and first-class service, the Valamar Collection Dubrovnik President Hotel is simply the best choice for a luxury holiday in Dubrovnik!